So 4.1 is in full swing and with that comes all the wonder and joy of new content and new ridiculous bugs. Fortunately, I wasn’t struck too seriously by the patch day blues. The majority of my addons worked right off the bat. The only notable exception for me was recount, but I can still raid without it. Yes, I can raid without watching my epeen grow and flourish. I got home about 20 minutes before raid time, downloaded the patch content, and went right to work tanking BWD and BoT. There were a few hiccups along the way to this otherwise very successful evening. A few of our raiders had trouble zoning in to the instances. They were getting odd error messages such as the instance cannot be found. Others disconnected when releasing from their corpse after a wipe. The most curious was on the Omnitron encounter. When the first boss mob reached 50 energy, it did not trigger a second. Eventually it ran out of energy and powered off without spawning any more bosses. I’m pretty sure someone declared we dps’d too hard that we broke it. Needless to say, we didn’t break it. If you get this bug, don’t fret too much. Just get everyone out of the instance and come back in. After that it was all smooth sailing. I tanked Chimaeron, Atramedes and the Twin Dragons for the first time and one shot them! Go me… ugh, I mean us… go us! All indications point to 4.1 coming tomorrow 4/26/11. You are not prepared! Or are you? 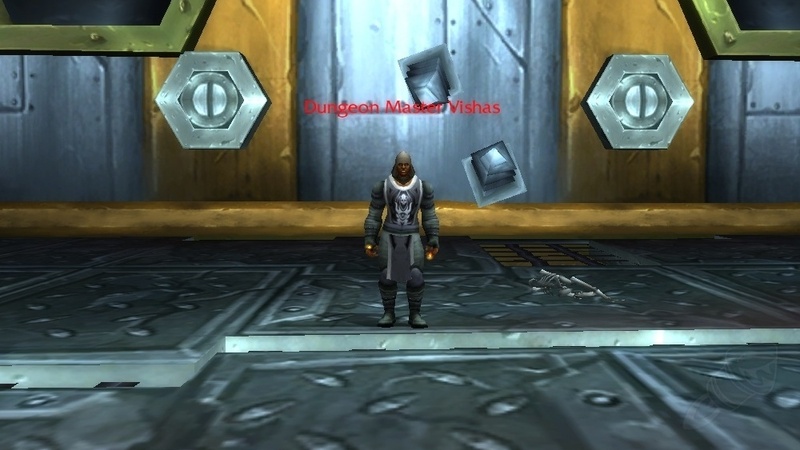 Wow Insider has a pretty comprehensive guide to 4.1 HERE. Of course there is a ton going on here most important of which is NOT a new raid instance. The Firelands raid and the associated Hyjal healing will likely come with patch 4.2. This means that unfortunately, there’s probably still no dailies in hyjal. If I discover I’m wrong and the Hyjal rep dailies ship with 4.1 I’ll be sure to get a guide going pronto. Of course, we are getting new heroic dungeons, the Looking for Guild system, and a veritable ton of class/instance/gear balances. One thing I’ll make sure to do tonight is prospect all my Obsidium/Elementium ore, cut the uncommon gems, and vendor them. Notes indicate that uncommon gems will no longer vendor for 9 and will end up being a much lower amount. This will drastically lower the value of the gems that aren’t used for select craftables or the JC daily as well as lowering the price of the ore they come from since there is no longer a high “minimum” prospecting value. Is there anything else you’ll be doing at the last-minute to prepare? Finishing gearing an alt to be ready for the ilvl 346 required new heroics? Something else? You can find the most current patch notes on Blizzard’s blog HERE. The above chart was featured in a WoW insider Scattered Shots article, you can see the full article HERE. Notice retribution at the very bottom of the raiding dps specs. 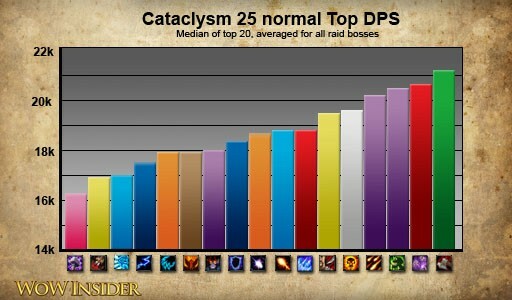 Now, this doesn’t include the traditionally low raiding performance “pvp” specs such as subtlety rogues, but ret pallies are still easily 25% below the top performing dps spec and also lower than the next lowest by almost 1,000 dps. Naturally, I’d love to run around topping the meters, but balance at least is much preferred to the current state of affairs. Did we paladins despair though? Of course not! We knew at some point the useless mastery would be reforged into something we wanted, at least a little, and boost our dps. Blizzard, in their infinite wisdom (is always wisdom when they’re buffing your class right? ), also buffed our bread and butter attack, Crusader Strike. Check out the paladin class changes. The two biggest changes we have here are the 20% more base damage to crusader strike and our mastery changing. Mastery is now a passive holy damage buff to key attacks and our old Divine Purpose talent has become the same as what Mastery was. Depending on what this percentage ends up being, we could see a very significant boost to damage. This mastery also gives blizzard an easy knob from which to tune our DPS if it’s ever too low or too high. Holy paladins are also probably a little excited about the slight buff to divine plea which provides an extra 2% mana (3% talented) over a shorter time span. I’m really excited to see ret damage come up to par with our other dps pals and for the first time was considering copying my toon over to a test realm to see the changes first hand before they went live, alas, the page isn’t currently loading. Maybe there’s a bunch of other enthused paladins clogging up the internet. The rest of the 4.0.6 patch notes can be viewed HERE.